Covers the complete power-steering system. Comprehensive coverage of suspension components and the Adaptive Damping System or Active Body Control (if equipped). Covers all elements (excluding normal wear of discs and pads), including the Antilock Braking System. This page sets forth a summary of coverage. 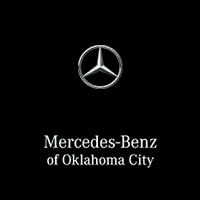 For full details, including all limitations, ask Mercedes-Benz of Oklahoma City for a copy of the Mercedes-Benz Certified Pre-Owned Limited Warranty and optional warranty extensions. Coverage does not duplicate Mercedes-Benz New Vehicle Limited Warranty. If this vehicle is still covered by the New Vehicle Warranty at the time of MBCPO purchase, this coverage continues from the vehicle’s original in-service date and will apply until four years from the original New Vehicle Warranty start date or 50,000 total vehicle accumulated miles, whichever comes first. MBCPO Limited Warranty coverage will then apply for 12 additional months for unlimited miles. If the New Vehicle Warranty has expired prior to MBCPO purchase, MBCPO Limited Warranty coverage will apply for 12 months from MBCPO purchase.